Bespoke is old hat. Off-the-shelf is in. Even Google runs the world’s biggest and scariest server farms on computers home-made from commodity parts. 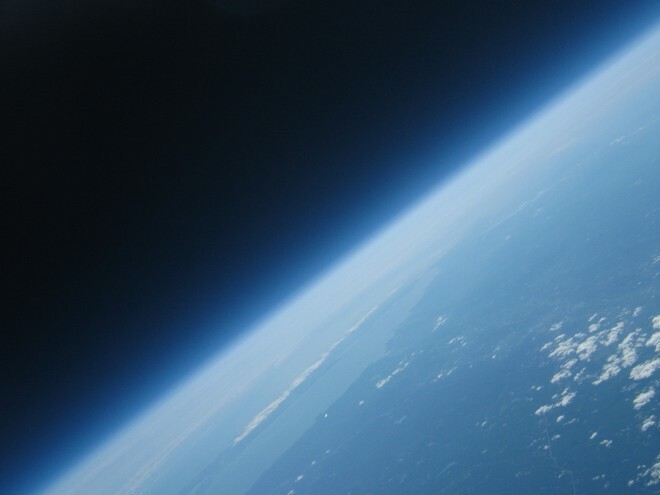 DIY is cheaper and often better, as Justin Lee and Oliver Yeh found out when they decided to send a camera into space. The two students (from MIT, of course) put together a low-budget rig to fly a camera high enough to photograph the curvature of the Earth. Instead of rockets, boosters and expensive control systems, they filled a weather balloon with helium and hung a styrofoam beer cooler underneath to carry a cheap Canon A470 compact camera. Instant hand warmers kept things from freezing up and made sure the batteries stayed warm enough to work. Of course, all this would be pointless if the guys couldn’t find the rig when it landed, so they dropped a prepaid GPS-equipped cellphone inside the box for tracking. Total cost, including duct tape? $148. Thanks Kuky! This link gives you an update and a video of the experiment.